Written by Steve Burge on July 12, 2017 . 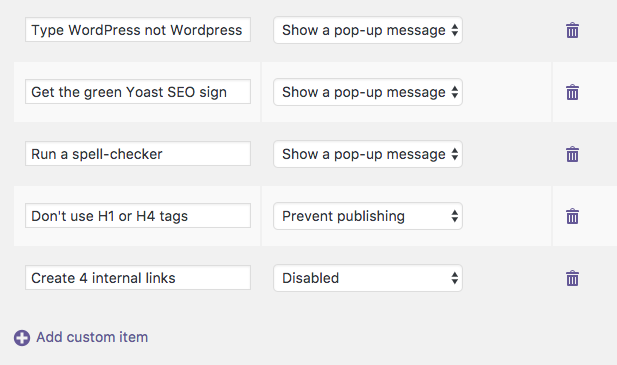 The WooCommerce Checklist add-on is perfect for anyone that wants to create a consistent shopping experience with their WooCommerce store. It can be difficult to make sure every product has the information, description, and features your customer needs to buy online. 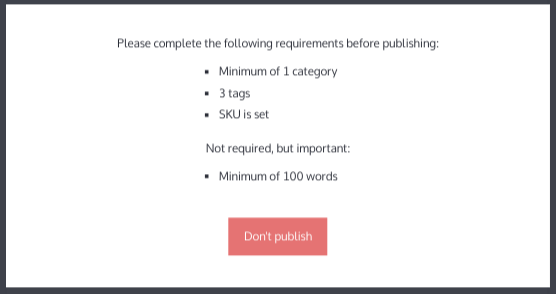 Using the PublishPress WooCommerce Checklist, you’ll be able to define tasks that must be completed before each product is published. You will be able to give your shoppers a consistent experience with each product. 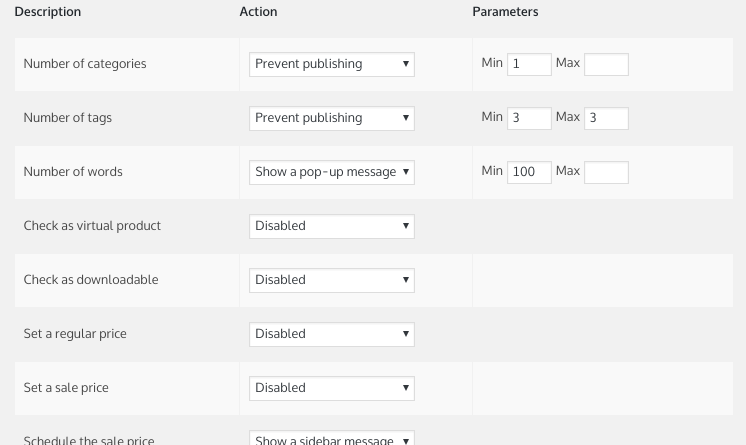 This will help them navigate better, spend more time on your site, and ultimately buy more. 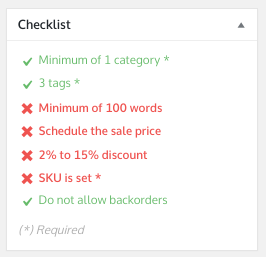 Next to every product, writers see a checklist box, showing the tasks they need to complete. Tasks can be either be recommended, or required.